Art museums are cool. Science museums are educational. But if you’re the kind of person who really wants to learn about the city you're visiting -- about its history, its buildings, what it was like when Daniel Day-Lewis fought an epic gang war against Leonardo DiCaprio -- there’s nowhere better than the local city museum. And while, sure, some are nothing more than a collection of old pictures and trinkets, others offer elaborate interactive experiences, live-action historic recreations, and, in one case, the world’s largest No. 2 pencil (!!). Here are nine you shouldn't leave town without visiting. 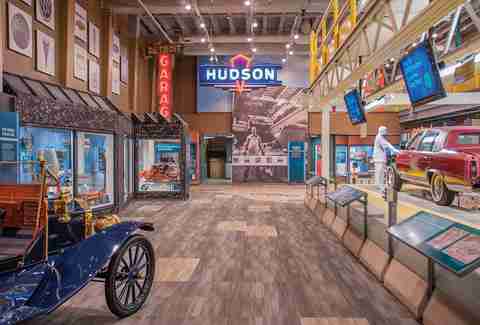 This historic museum pays tribute to Detroit’s heritage, both automotive and musical. In addition to seeing some of the first cars produced and hearing how Detroit became The Motor City, you'll learn about the city's famous musicians -- from The Supremes to Bob Seger to Madonna -- in the Kid Rock Music Lab. The bottom level is home to “The Streets of Old Detroit,” where you can walk among a recreated version of the city from 150 years ago, while the Allesee Gallery of Culture is home to city relics like the old sign from Tiger Stadium and the giant Little Caesars statue. Whatever you do when you visit this brainchild of the late artist Bob Cassilly, don’t ask for a map. The idea here is to wander and observe: turn one corner and find yourself in a hallway of funhouse mirrors. Turn another and run into a wall made out of bottle caps. 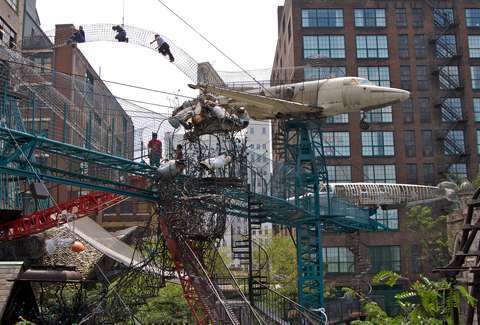 It’s a mysterious, surreal journey that begins in a parking lot (with net ladders, slides, and an abandoned plane) and ends on a roof topped with a Ferris wheel and teetering school bus. In between, the aforementioned largest No. 2 pencil in the world. Also, there's a bar so you can enjoy a refreshing beverage after all the excitement of... filling in the world's largest Scantron? With over 2.4 million historic objects, 14 million insect specimens, and one million historic photographs, Honolulu's Bishop is one of America's most important museums. Not only will visitors learn about the people and culture of Honolulu, but also the flora and fauna of the region, as it’s pretty much the biological hub of the South Pacific. 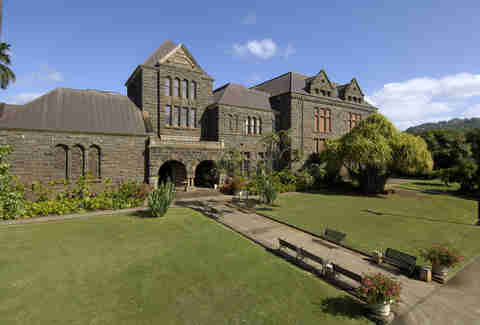 But the museum’s draw extends beyond staggering collections; the buildings themselves date back to 1898 and are adorned with hanging sea creatures (including a full sperm whale skeleton) and artifacts from Hawaiian royalty. 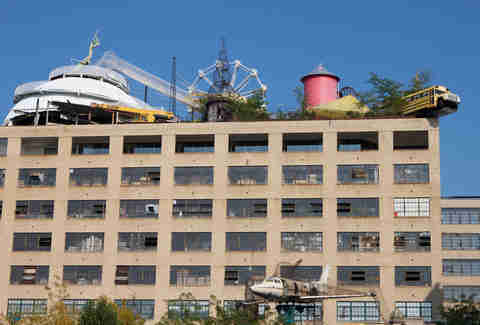 As Detroit was built by cars, Minneapolis was built by... flour? Yep. 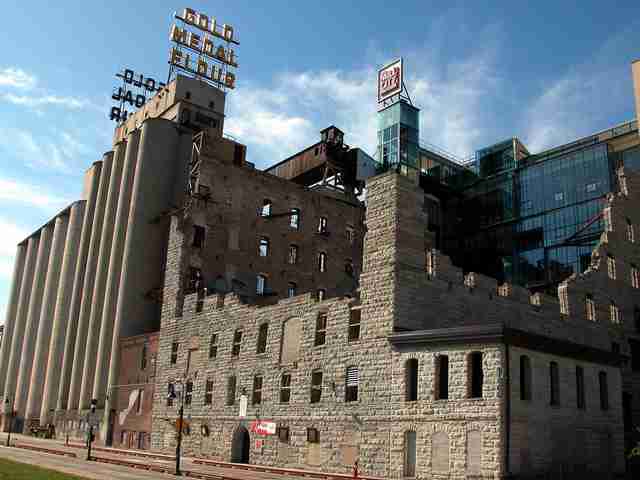 Minneapolis was a major grain exporting hub, and you’ll learn alllll about it at this museum built in the ruins of the old Washburn "A" Mill -- once the largest flour mill IN THE WORLD. The highlight of the visit is an eight-story, freight-elevator ride where visitors are taken through recreations of a working flour mill as "early" Minnesotans tell stories of life in the factory over audio. The last stop is the ninth floor and a panoramic view of downtown and St. Anthony’s Falls, the force that once powered America’s milling industry. During the summer, the ruins also play host to a concert series. If you look around South Lake Union in Seattle and wonder where all the vanishing relics of the city have gone, look no further than this old seaplane hangar on the water. It houses Seattle’s Museum of History & Industry and, in addition to interactive displays that explore the founding and history of Seattle, is dotted with nostalgic landmarks like seats from the Kingdome, the giant pink “Toe” truck, and the original R from the Rainier Beer Brewery. 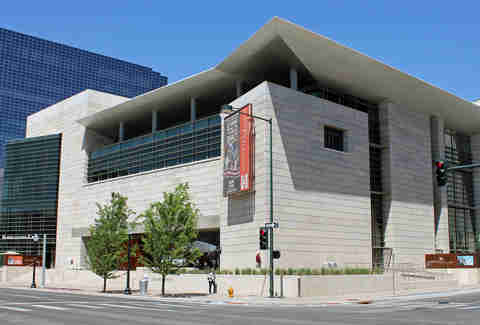 This LEED-certified museum is all about technology. Not only can visitors use virtual reality to fly off a Steamboat Springs ski jump or drive an old Model-T across the plains, but they can also take rolling, R2D2-looking “Time Machines” over a giant map of Colorado to learn what was going on during a particular year in history. And then there's also Keota, a replica ghost town complete with a schoolhouse. Another fun fact to win a bar bet: what North American city has the earliest evidence of human habitation? OK, Pittsburgh, obviously. And this museum has the artifacts to prove it. Along with both a fully recreated 19th-century village and a recreated Indian village (yes, TWO villages!) where you can try your hand at throwing hunting spears. But the center isn’t limited to archeology; visitors can also explore the region’s more-recent history at The Ft. Pitt Museum and the Western Pennsylvania Sports Museum, the latter of which pays tribute to all things black and yellow and showcases Mario Lemieux's Stanley Cup jersey and a life-sized statue of the Immaculate Reception. 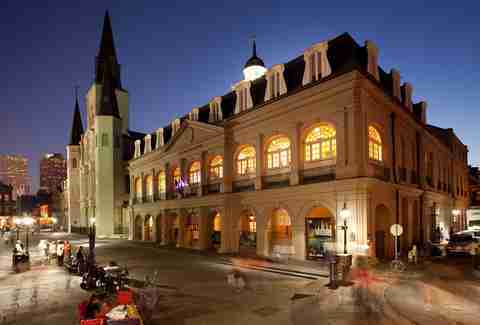 As you stumble through the French Quarter, you probably didn't even realize that one of the most important buildings in US history is plopped right there in the middle of the bars and strip clubs. This three-story Neo-Colonial behemoth was once the seat of the Louisiana Colonial Government, hosted the signing of the Louisiana Purchase, and housed the Louisiana Supreme Court when it decided Plessy v. Ferguson. Now it contains over 1,000 rare artifacts that showcase the diverse cultures and backgrounds of the area; the most interesting among them might be the Napoleon Death Masks -- one of only four molds made from the general’s face on his death bed. Cincy is just full of surprises, isn’t it? Not only does it maintain one of America’s best skylines, it's also home to this museum, aka the most beautiful place in Ohio. The museum center is housed in Union Terminal, a 1930s Art Deco train station that once served 17,000 passengers daily and boasts the largest half-dome in North America. Today, it’s occupied by a history museum, a children’s museum, a natural history museum, and an OMNIMAX that includes large-scale models of the city and ancient caves you can walk through.